Since June 2017, I’ve worked to develop Lion Athletics from the ground up. 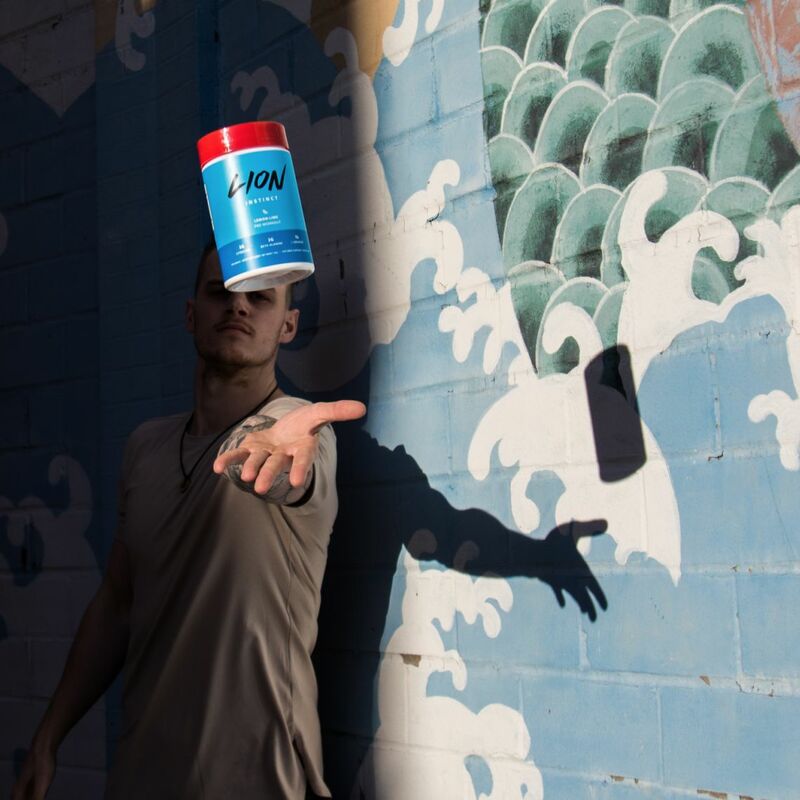 Now as their Lead Designer & Creative Director, what started out as just a concept quickly became an expanding national sports nutrition brand reaching ambitious millennials. 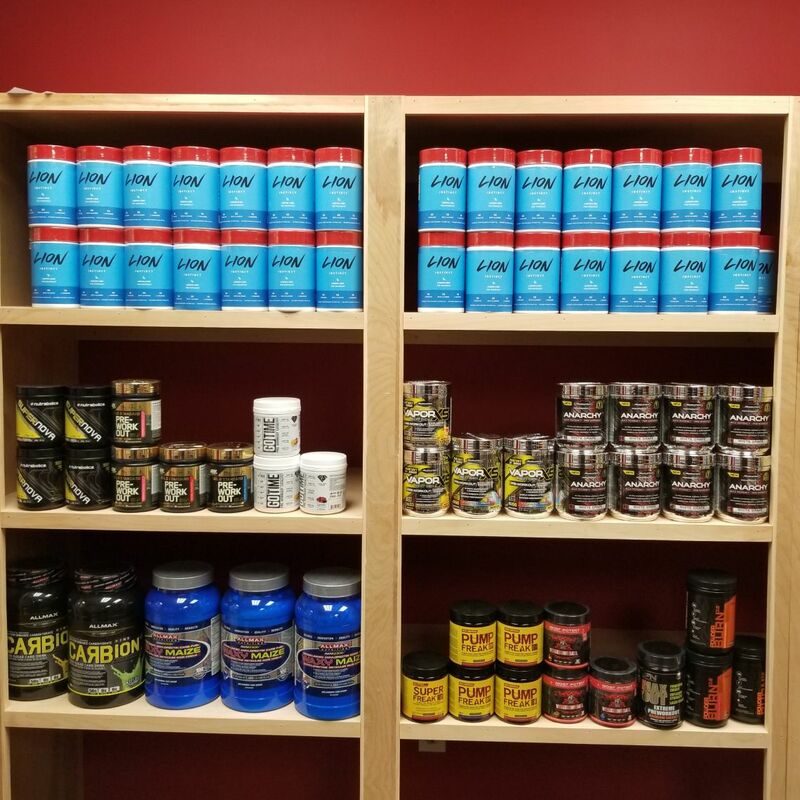 After working on a rebrand of his sports supplement business in Antigonish, Nova Scotia, I was approached again by long-time friend Curtis Colbary with another project. 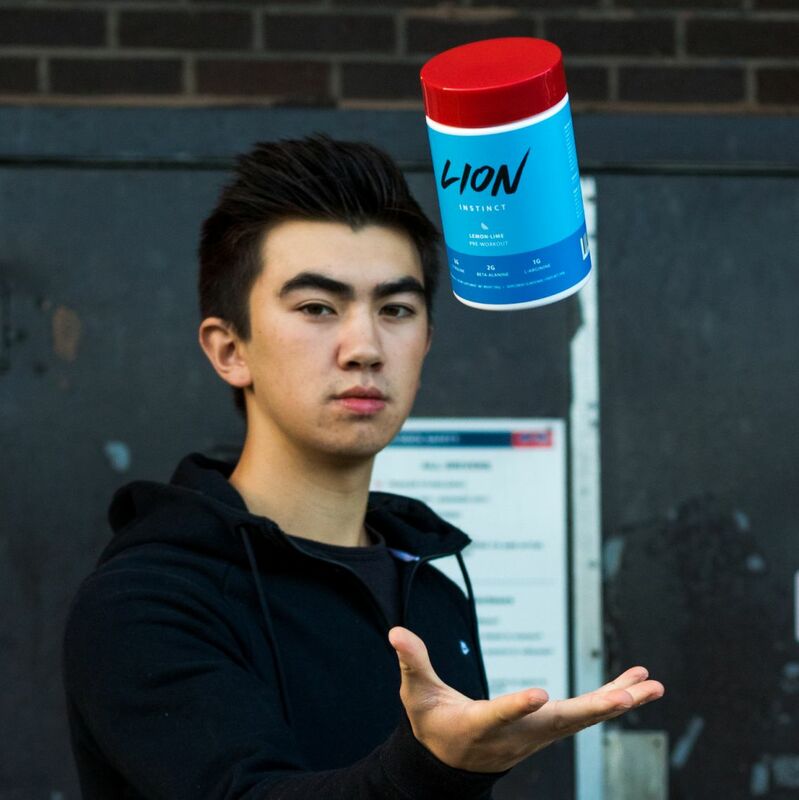 He had an idea to start a new business which would offer a fundamentally different take on the stagnant and overcrowded sports nutrition industry. In a world where brands and products were focused on the bulk, the power, and in-your-face marketing techniques, this brand would take a new approach. One focused on confidence, ambition, and minimalism. The whole notion of creating goals, and quietly working hard to achieve them. Not for social media, or anyone else, but for yourself. It was from this idea that Lion was born. 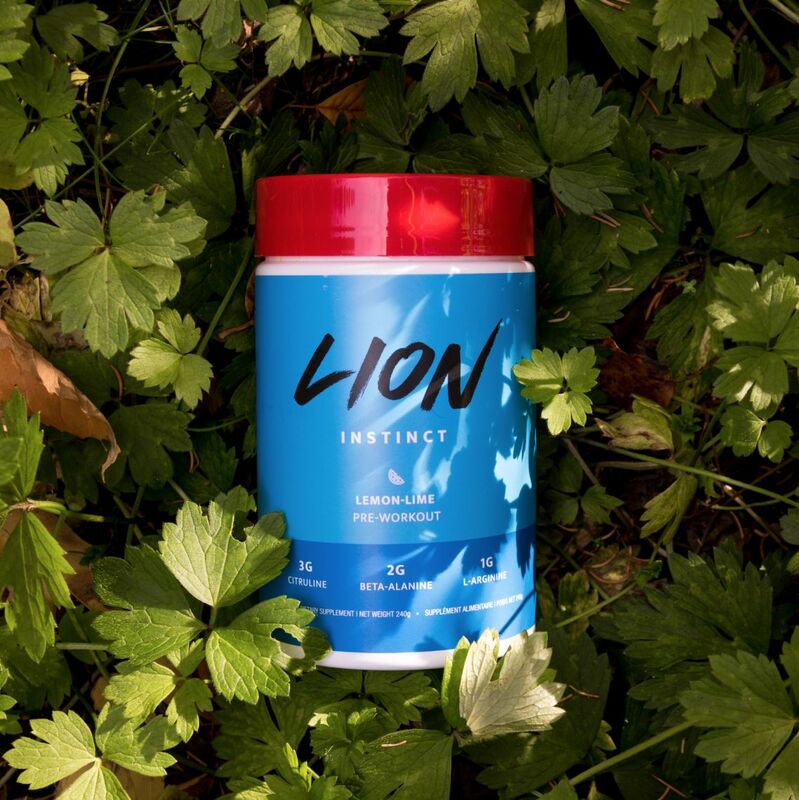 While the development of Lion’s first supplement product was well on the way, lots of research was needed to differentiate this product and brand in the market. 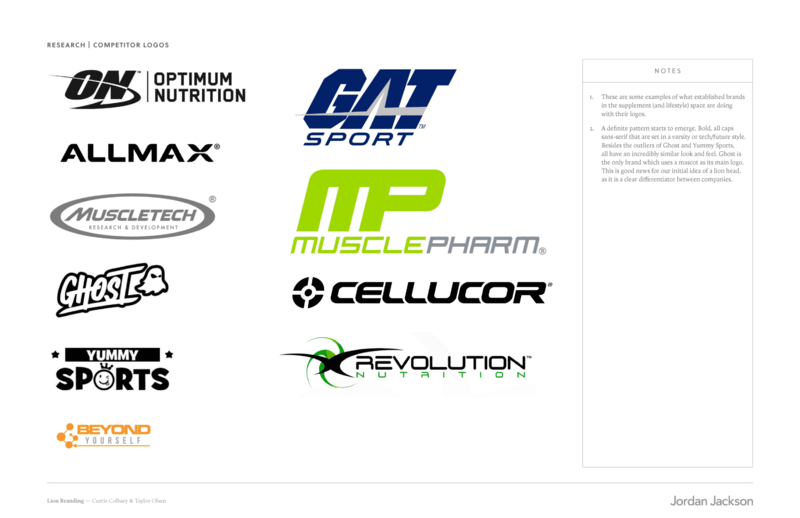 A deep comparison of all competing logos was studied and some clear patterns began to form. And while only the logo and accompanying brand assets were being developed at this stage, it was important to consider how this brand would live in context on our main consumer facing channel, packaging. Upon a review of competitor packaging, a similar pattern like the logos began to form. Armed with these visuals as an early guidance, brand strategy needed to be defined before any designs begun. 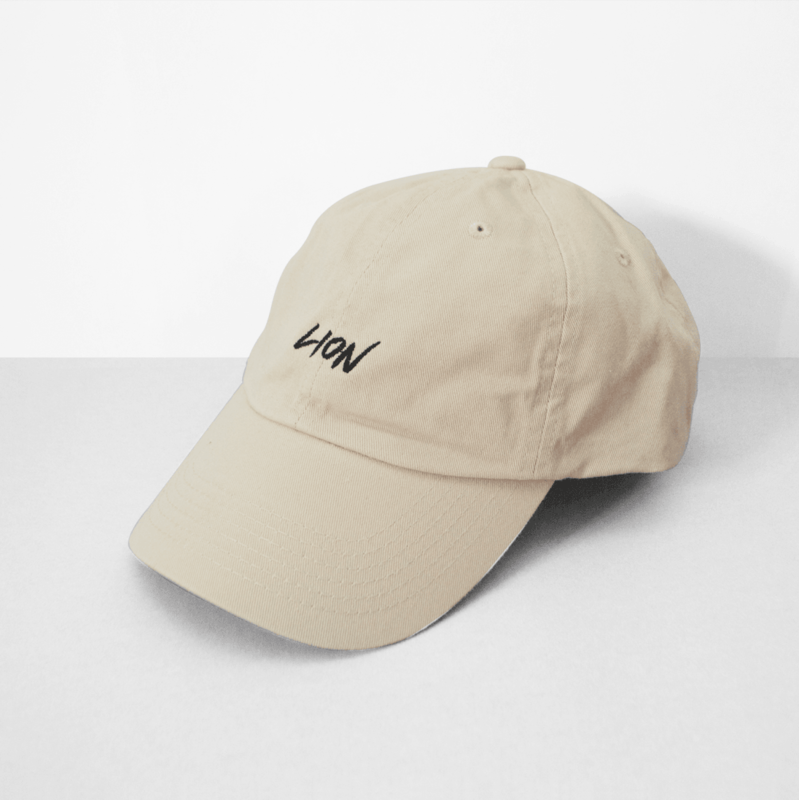 What does it mean to be a Lion? That was the defining question which lead us to the overall direction of the brand design, packaging, photography styles, and social media promotions. When naming your brand after an animal, you are making the distinct decision to align the values of your brand with the attributes of said animal. 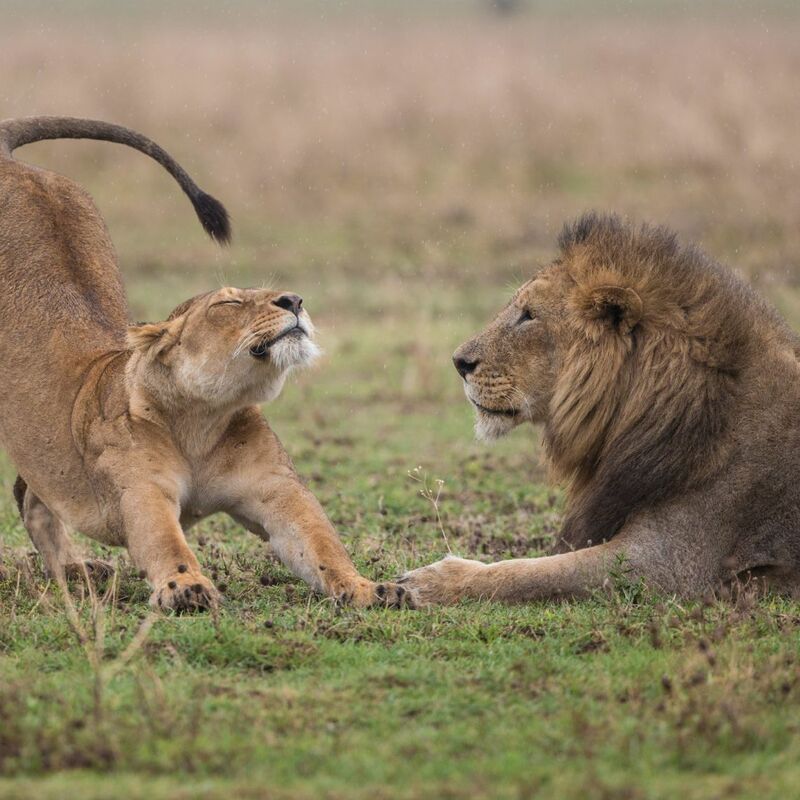 The lion is an incredibly interesting animal as it has clear differentiators to its close counterparts. Unlike a tiger, a lion is strong, but poised. Powerful, but majestic. Bold, yet calm. 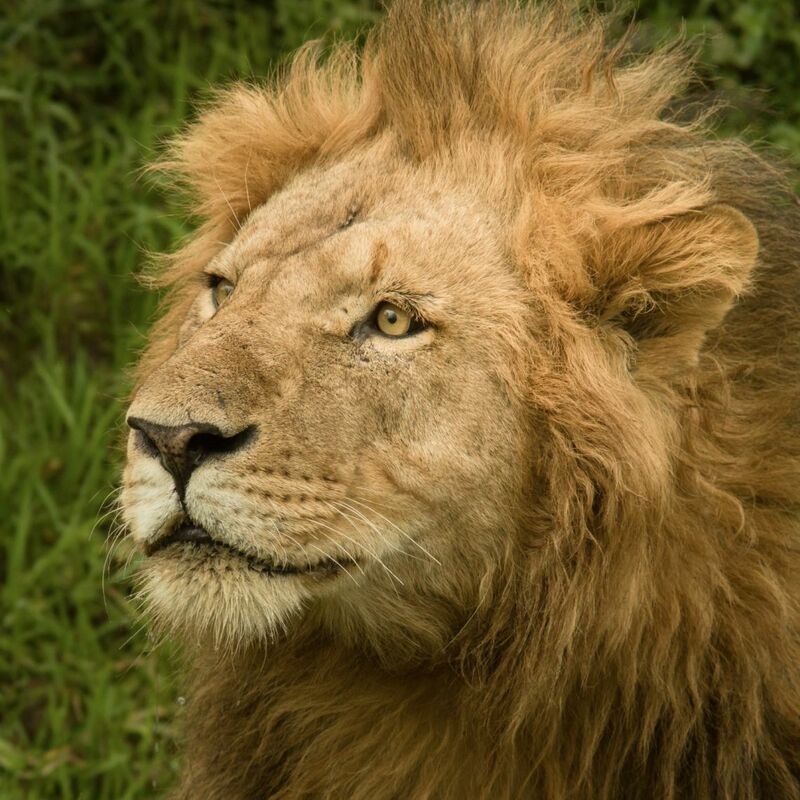 With this guiding us, if a lion were a person, how would we describe it in just three words? Strong. Confident. Poised. 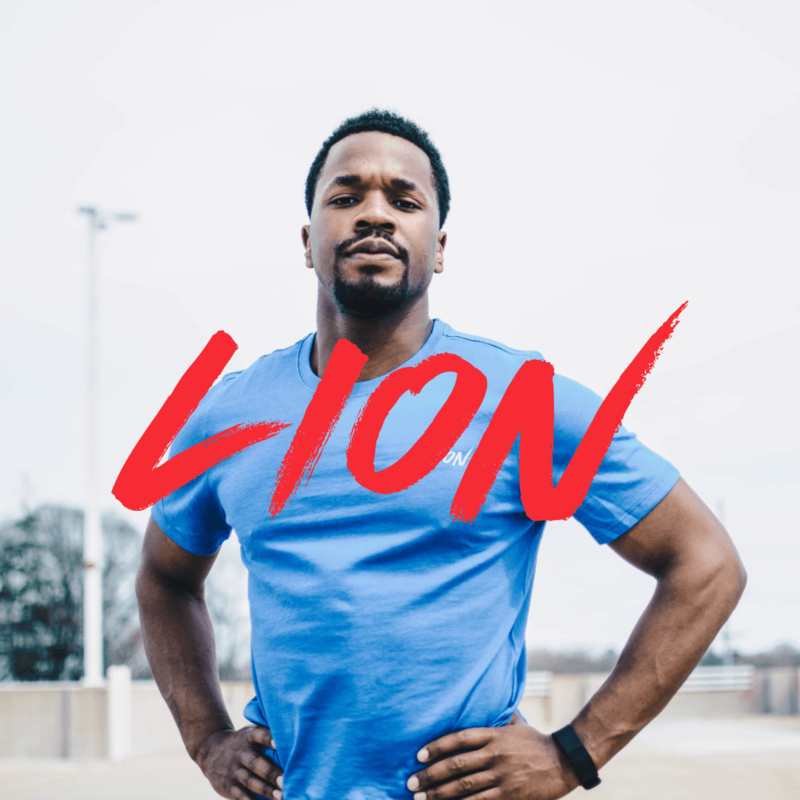 This then translated into our guiding statement: “A Lion is a leader.” The leader of the pact, a leader in the gym, a leader in the community. And, how could we inspire people to become leaders through our brand and product offerings? 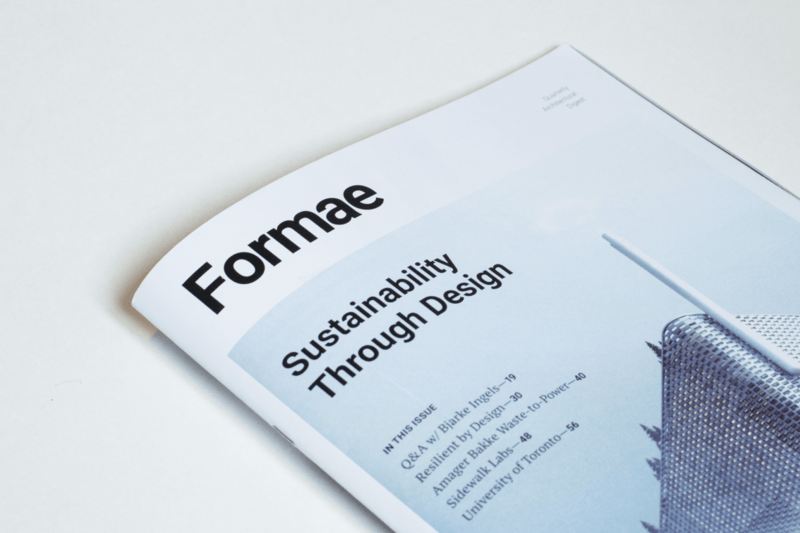 Taking the work done in the research and strategy stages, the logo fell into place as the obvious solution for our mission statement, and to differentiate ourselves in the market. While 90% of the market is using some version of an all-caps sans-serif as their logotype, our crafted brush script still communicates strength in a way that was completely unique to the consumer. 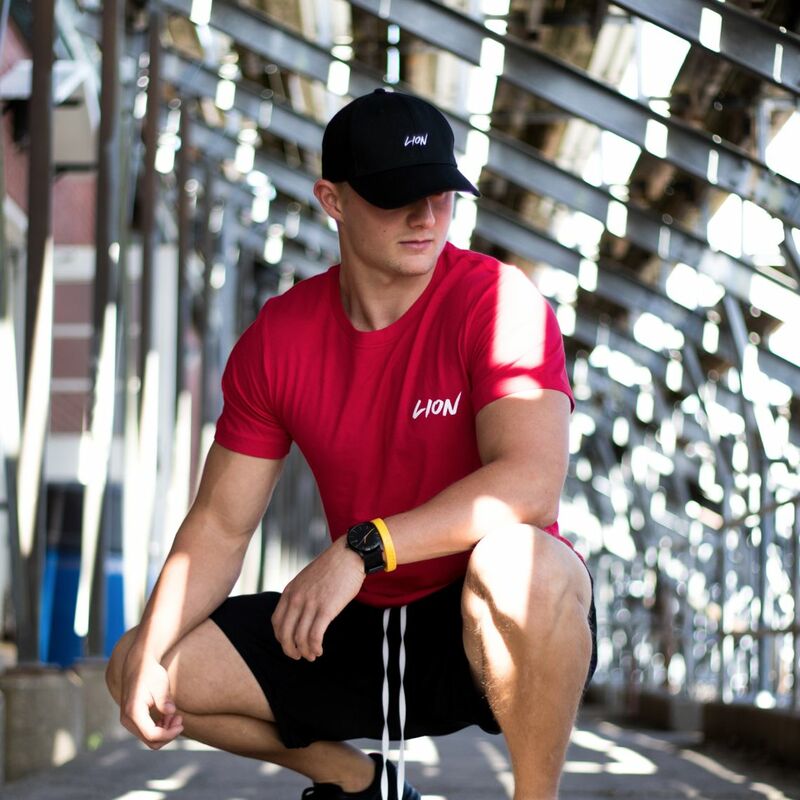 Our first product was a Pre-Workout powder designed with minimal ingredients that gives you a clean pump to energize your workout. 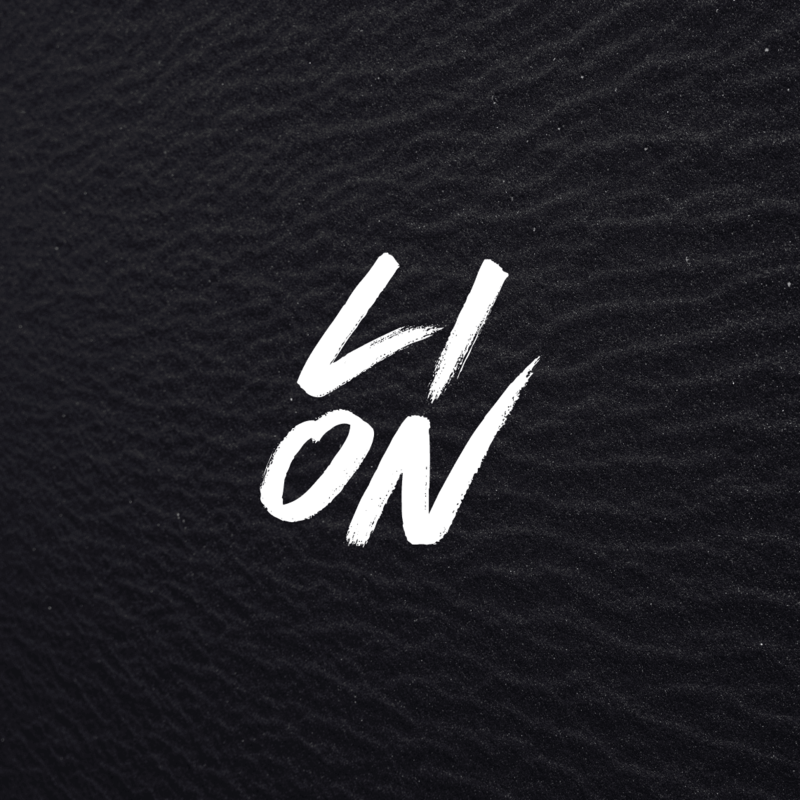 For product naming, we tapped into elements that were shared by both humans and lions. Instincts. A primal, innate, and fixed pattern of behavior in response to external stimuli. 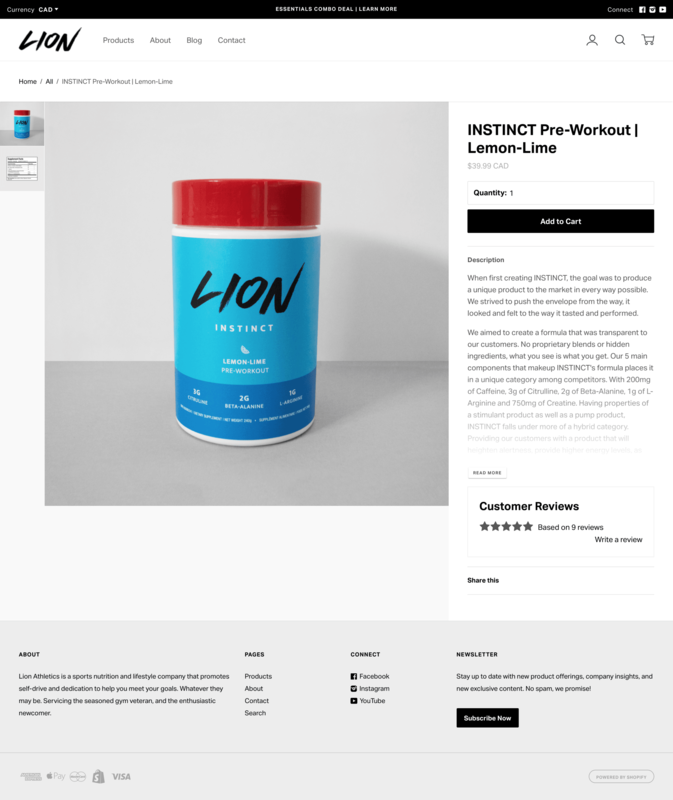 The final name of “Instinct” performed extremely well in our early consumer tests and was very different than competitor names which try to present their products as overly scientific and medical. While our logo portrayed strength, we relied on our brand applications to communicate confidence and poise. 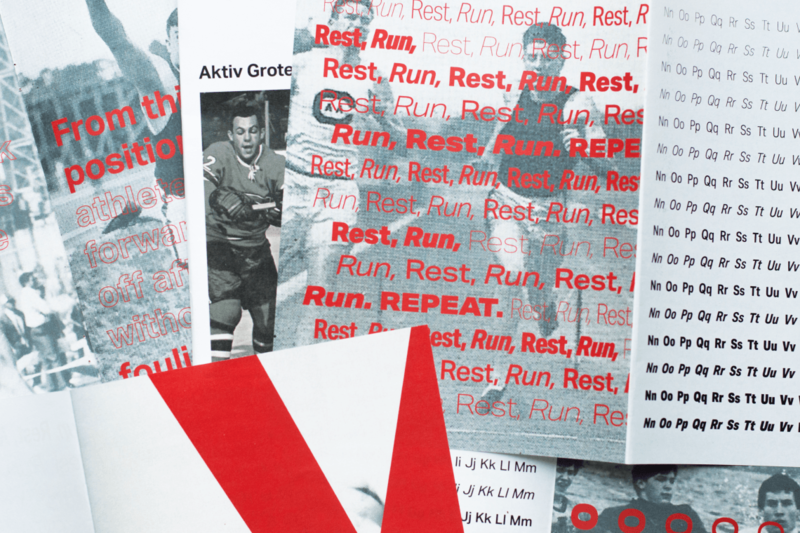 On the product, this was done through a minimalistic look and modern typography which didn’t necessarily scream “athletics” upon first glance. 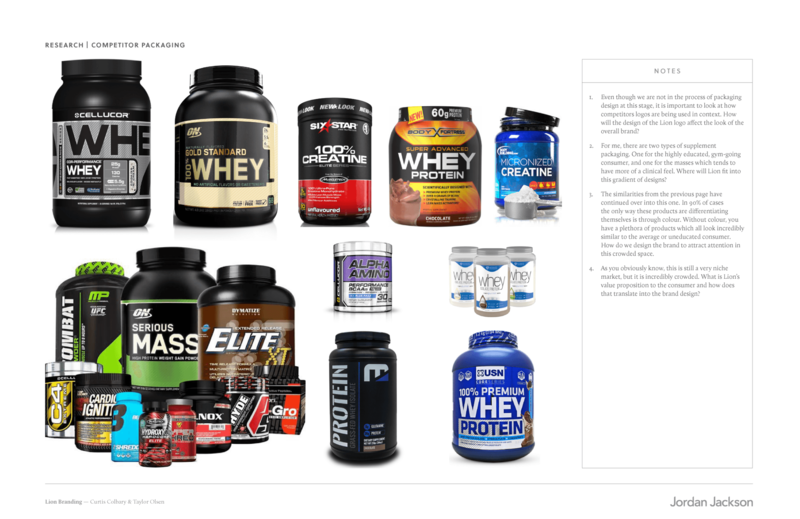 Using our packaging research as reference, we noticed that most products were either majority black or white, while some used an accent for differentiation. Our bold colour choice was certainly a risk as we were unsure of how consumers would react to something so different, but after our first few months in store, we are thrilled by the response and the pop on the shelves. Our main channel of promoting the product to our demographic of 16-30 year olds was through Instagram. The incredibly popular and growing platform works wonders for telling the story of a brand through pure visuals. Armed with two fantastic photographers in Nic Latulippe and Isaac Kerr, I set basic photography standards to carry our brand values into visuals. Both Nic and Isaac continuously explore their creativity through our promotional materials with interesting and dynamic lifestyle shots. 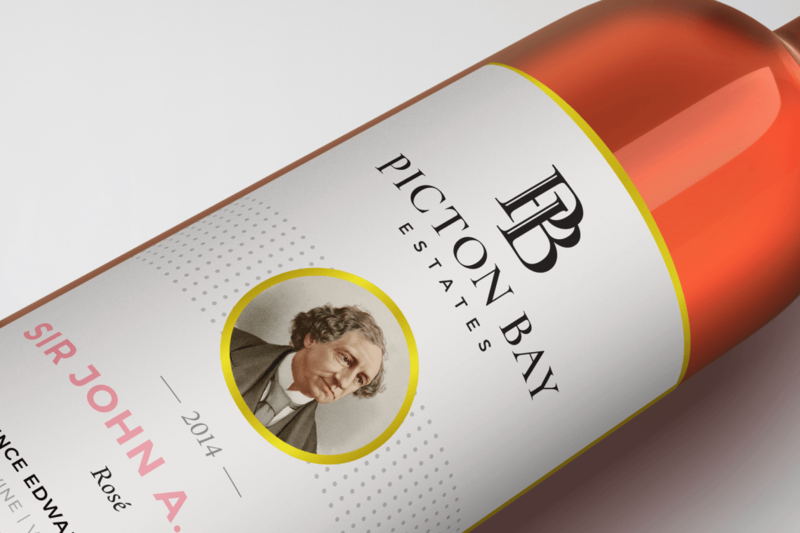 With the website being our main sales channel outside of Nova Scotia, I needed to develop a user interface and experience that would convert the essence of the brand into revenue. If the customer's first interaction of the brand was with our website, how would the experience carry over? Using Shopify CMS and the Ira theme developed by Fluorescent, I customized the design through Liquid, CSS, and Shopify’s user interface, wrote copy, and maintained the website through seasonal product updates and account changes. 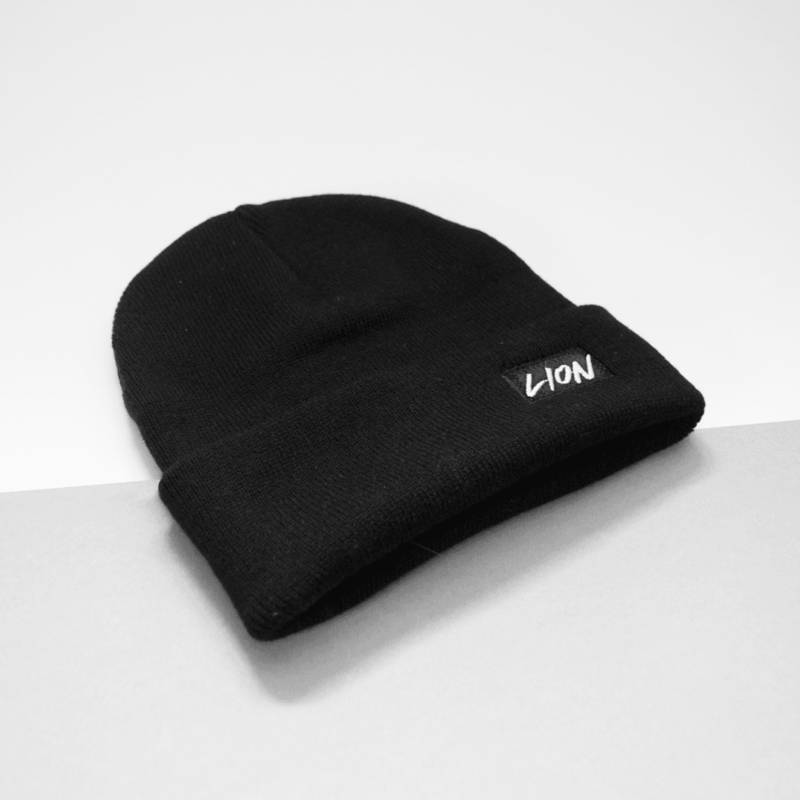 With the release of Lion apparel in January of 2018, I was tasked with creating a unified look for our new products for e-commerce purposes. Using far from professional materials, I attempted to mimic a studio lighting environment and brought a consistent and elevated look to our products.